Penned in the Margins director Tom Chivers nominates his top ten best book covers from the past ten years of publishing: from bold conceptual designs to complex layered artworks. Designers: Ben Anslow, Doug Kerr, Zigmunds Lapsa, Ian Henry Simmonds. Good design is simple design. 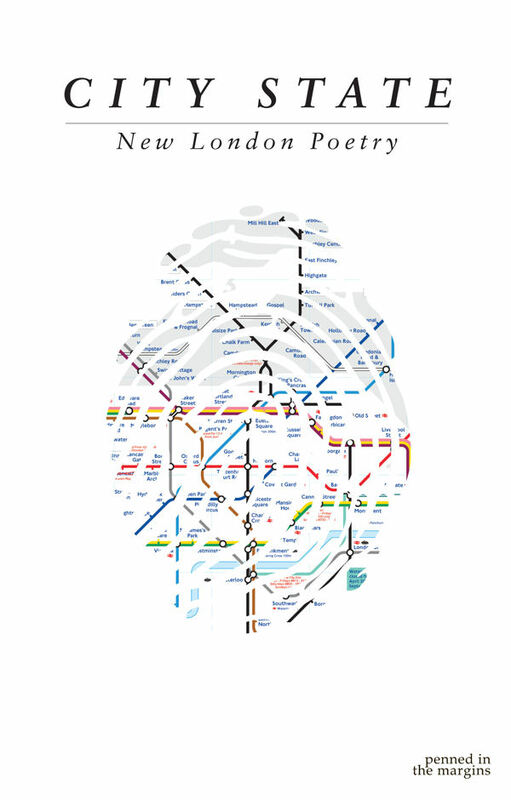 This maxim is demonstrated in the cover for our generational anthology City State, in which the London Tube map is contained within the outline of a thumbprint. I’m a big fan of really uncomplicated visual puns, that hopefully say a lot but as simply as possible. In this case I was dealing with themes around the identity of a city, and with the city in question being so identifiable it immediately struck me that we should use one of its identifyig elements in a thumbprint. Other visual cues were considered but the iconic Tube map was too hard to resist because of the recognisable colours. 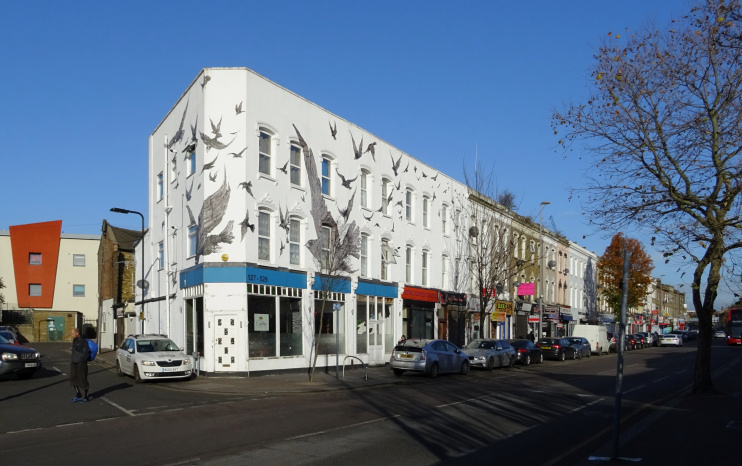 This – a late offering from our former regular designer Ben Anslow – is an example of a design that shouldn’t work but does! Bright, bold and with a psychedelic image of a mouth disgorging a bunch of flowers, it looks unlike anything else we’ve published. 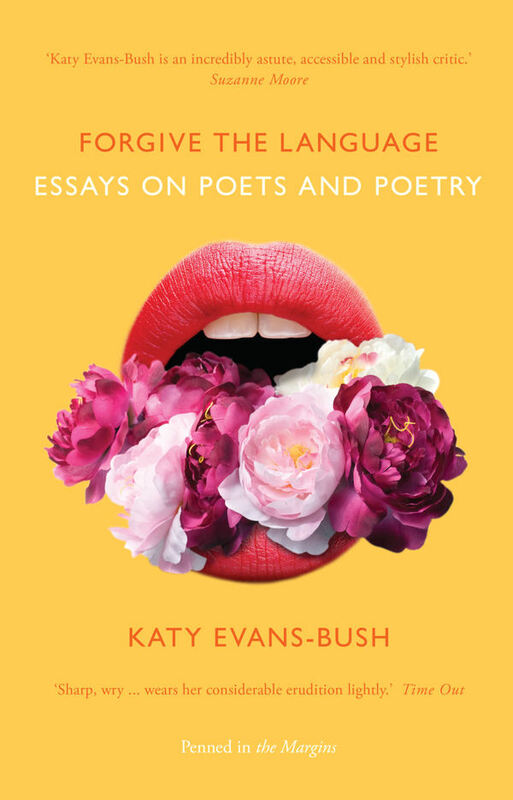 We were trying to get away from the traditional feel of literary essays, whilst at the same time saying something about the dynamism Katy brings to critical writing. Another cover where a load of roughs were done which didn’t quite satisfy the tone. So then I decided to get literal out of frustration. Flowers = forgiveness, mouth = language — one crude sketch later it looked like it might work. I like the thought that it’s what you get when you shove some Saville flowers down the Stones’ mouth. Another example of a simple concept brilliantly executed: a statue of the ancient Greek god Atlas with Planet Earth replaced by a giant Euro coin. 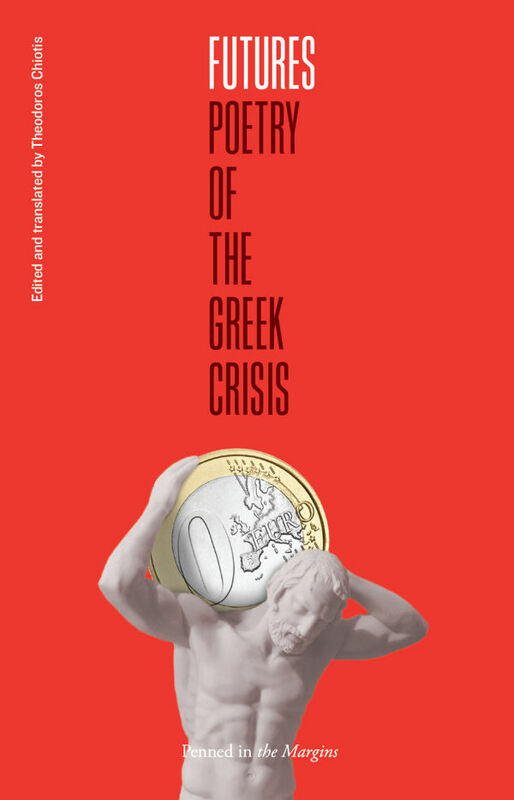 It’s designed to be bold and provocative, in a bright red that indicates the political urgency of the poems. The vertical text is a nice touch of class too. Because Atlas already appears to be burdened by the weight of the world, it was a symbol that was halfway there to making the right comment on Greece’s economic problems. It just needed the money part incorporating. A masterclass in layering, this cover was part of a larger design brief for Siddhartha’s book and spoken word show Kalagora. I was delighted with how the design caught the way Sid mixes the modern with the mythic in a multi-cultural context, and the muted greens and reds are beautiful. I was creating a lot of custom typefaces around the time of this book, and this was a really good exercise in trying to draw from an Eastern influence. The rest of the cover continued this West-East crossover theme. 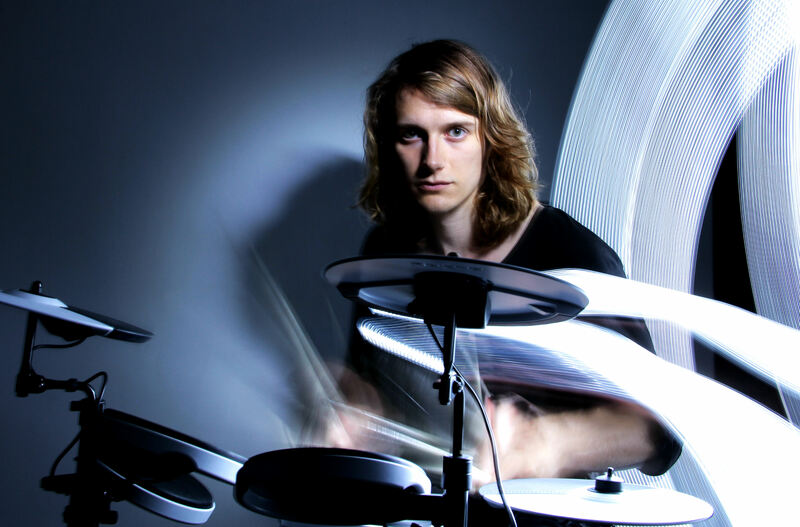 Latvian artist Zigmunds Lapsa is a new addition to our roster of designers. 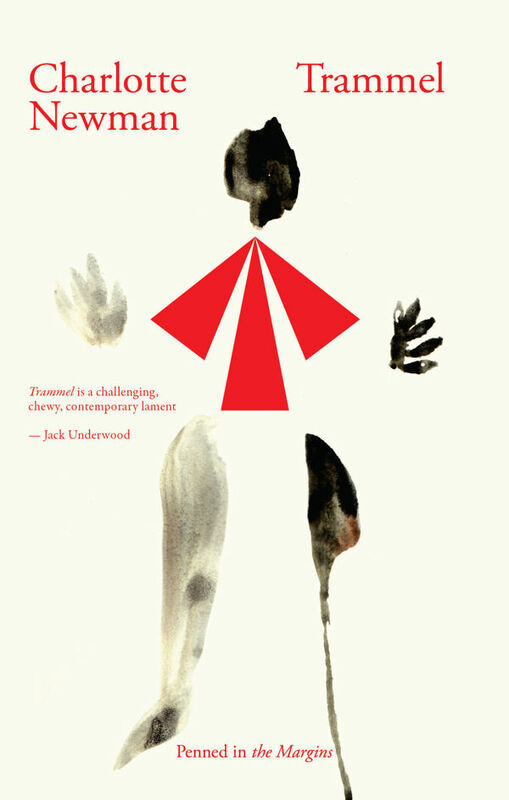 In this, his first cover for Penned in the Margins, he has created an evocative illustration that teeters on the edge of the figurative and the abstract. It’s the perfect way in to a book that questions our relationship with the body (and the body politic) through innovative poetry. Before sketching for the Trammel cover, I was looking a lot at paintings and drawings of David Lynch. For the final image I strived to use the accidental nature of mark-making to create a somewhat simple, but also dark and abstract figure. 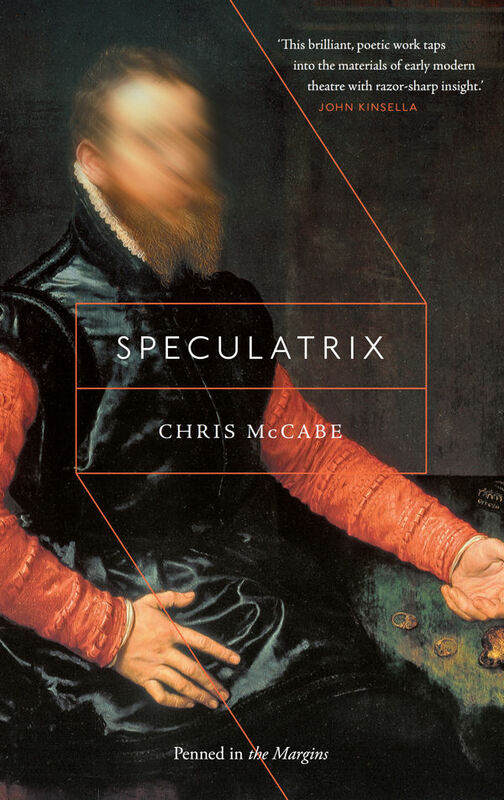 The idea for this design – a seventeenth century portrait with the face blurred out – was mine, but the execution all Ben’s. That sense of erasure, of dark histories and looming death, reflects the atmosphere of Chris’s poems in this incredible collection – probably our most critically acclaimed of all time. We looked through a lot – I mean a lot – of paintings of Elizabethan and Jacobean portraits to find the right one. The one we eventually chose was a portrait of the Dutch sculptor Stevan Van Herwijck, painted in 1564 by Anthonis Mor Van Dashorst (and reproduced courtesy of Mauritshuis, The Hague). The real task with this one was to make an interesting looking cover where the painting had to remain largely ‘centre stage’ and therefore unobscured. I still think it’s a really odd book cover on the brink of not working; the main elements are at odds but somehow end up pulling in the same direction. In recent years we have tended to stay clear of complex, collaged designs in favour of bold concepts, but Doug is expert in this kind of layered illustration. 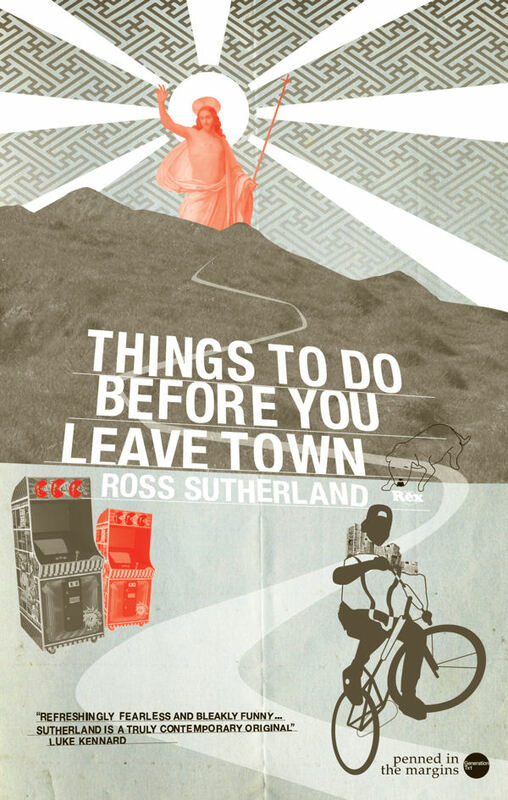 It’s also perfectly suited to Ross and the way he draws in images and ideas from pop culture, synthesising them into a poetry that’s both clever and very, very funny. A lovely detail on this cover is the RRP, which is represented with a little image of a price sticker. What was fun about this cover is that Ross literally described to me the very specific scene on the cover, and I then tried to recreate exactly what he was seeing in his mind’s eye. Each visual element is related to a different poem in the collection. 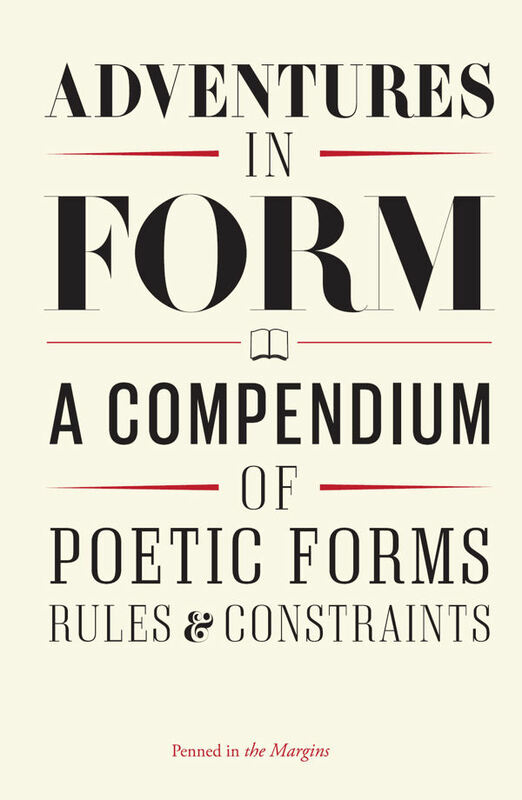 I conceived of this book – one of our best-sellers – as a kind of strange poetic almanac, and for me the cover absolutely captures that sense of variety. It almost looks like a Victorian poster for a circus. The design plays to Henry’s skill as a typographer, and has contributed hugely to this book standing out on bookshelves. When Tom first asked me to work on this cover, he described it at one point as ‘a curio cabinet of poetry’ which led me down the path of looking at Victorian Curio and Freakshow posters. The letterpress typography of the era was a great starting point and once it was lifted from the chaos and put in stark isolation on the white background, it felt as though we had landed on something quite striking. 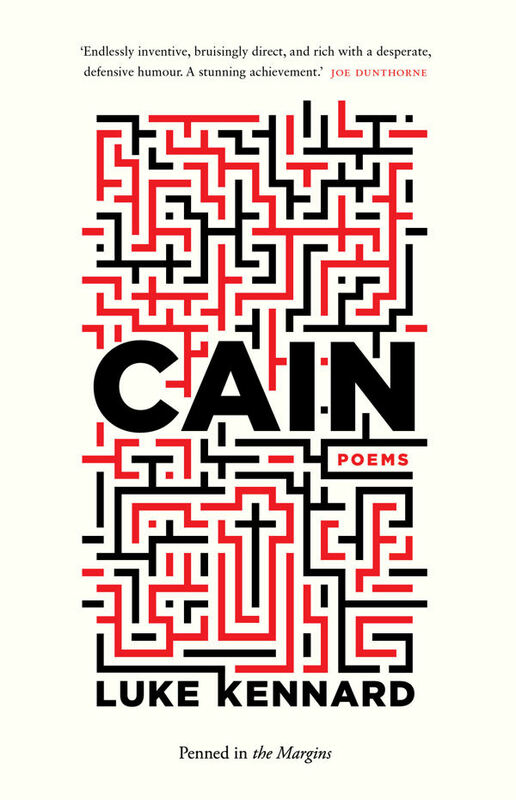 Winner of a prestigious British Book Design and Production Award, Cain is probably the most handsome poetry book we’ve published: a finely produced hardback with bookmark, coloured endpapers and black-and-red text inside. The cover really captures the tricksy, formally innovative nature of Luke’s poetry, and is eye-catching to boot. We went through A LOT of ideas along the way, but glad we persisted. There were easily 25-30 roughs created for this book and then they were all scrapped at the eleventh hour. When the maze was mentioned as a possible idea, it more or less designed itself. More importantly it synced much better with the interior (which was designed first) and helped the book feel like more of a considered package. 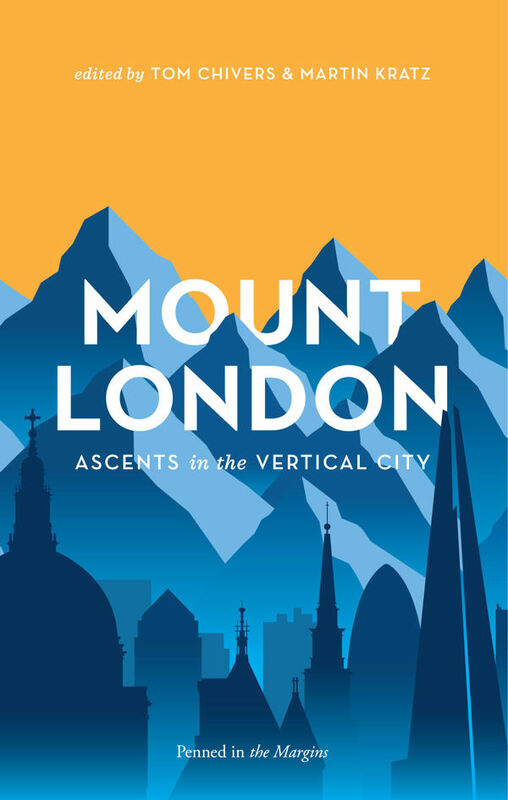 At number one, my absolute all-time favourite is Ben Anslow’s magnificent rendition of our urban mountaineering anthology Mount London. It’s impossible to do full justice to this book without having it in your hands, and opening up the full jacket for Ben’s London skyline, complete with St Paul’s and the Shard. Ben’s a stickler for detail, and I love the way the title is half-obscured by the peaks of mountains. The whole thing has the feel of a 1950s travel poster, slightly retro but still utterly compelling: the bold blue/orange combination makes the book really stand out in shops (or in very high places). Mount London will always have a special place in my heart, and in my bookshelf! Sometimes you just do what the title says!